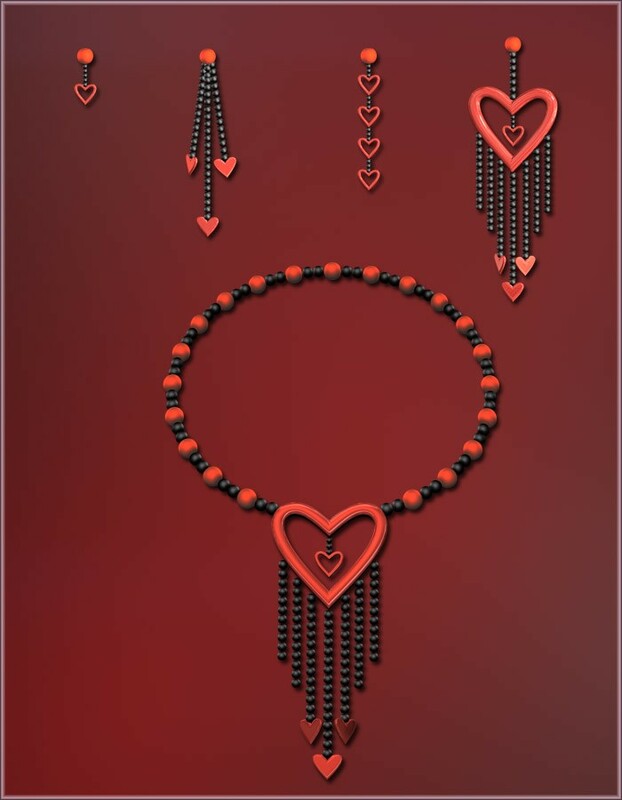 Light up the room in this beautiful Valentine's Day inspired jewelry for Vicky 4. 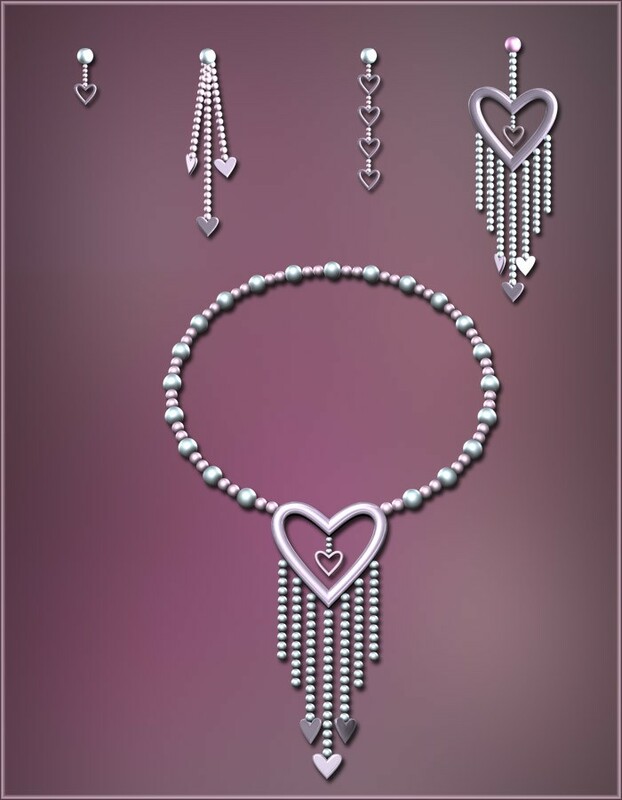 The heart shaped earrings and necklace will go well with our many dresses, especially the Sweetheart dress. The package contains four sets of earrings and a necklace. Each item also comes in several different colors.